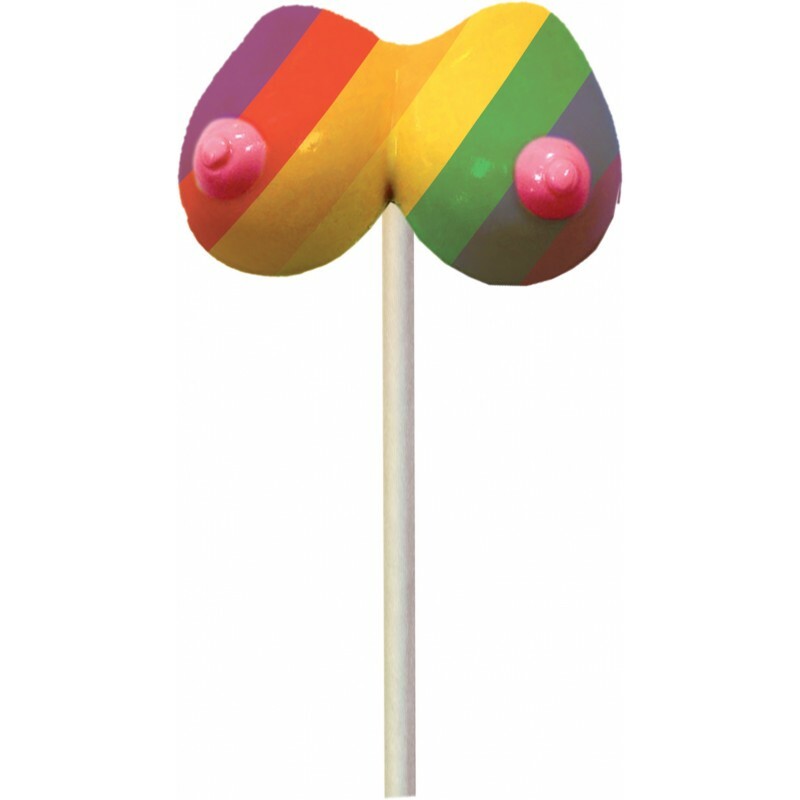 Rainbow Boobie Shaped Lollipop! Multi-flavored rainbow candy. 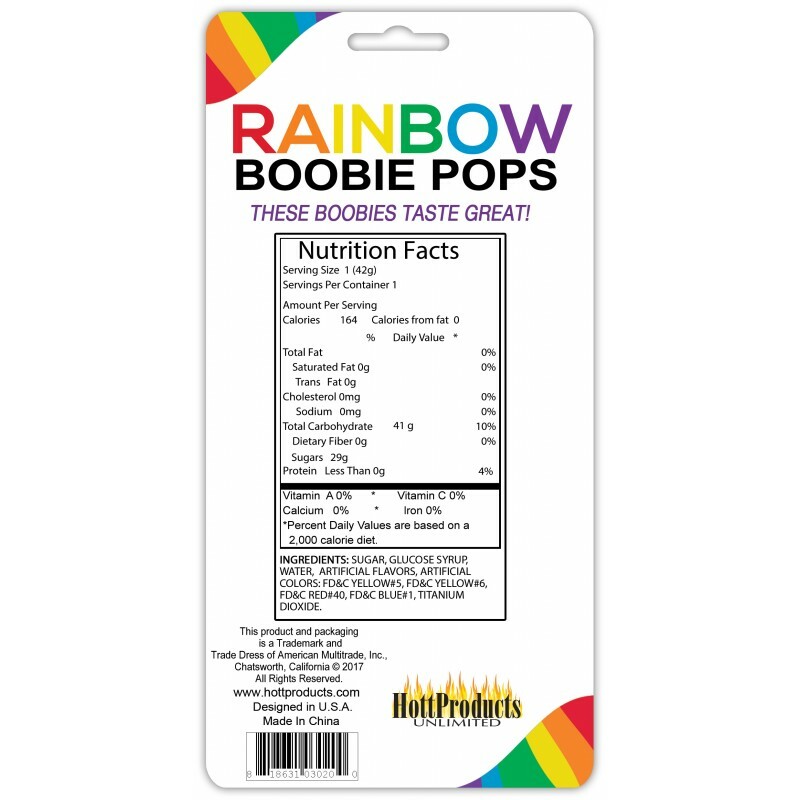 Specifications INGREDIENTS: SUGAR, MALTROSE, NATURAL FLAVORS, ARTIFICIAL COLORS, INCLUDING FD&C RED 40(E129), YELLOW 5 (E102), BLUE 1 (E133).